This is your last chance to see the incredible exhibition Kimono: A Modern History at NYC’s Metropolitan Museum of Art, closing Monday. The exhibition features over fifty examples of “kimono” in a variety of forms revealing the garment’s complex and intriguing past. Over hundred of years, the kimono, which literally translates to “thing to wear,” has transformed from its origins as an everyday garment to become a charged symbol of Japan’s rich cultural heritage and history. I have always been especially fascinated with the confluence of Japanese and European culture, and in particularly how it influenced fashion. Japan wares, notably woodblock prints, clothing and accessories, flooded Europe in the late 19th century after European trade was re-established with the country after 200 years. 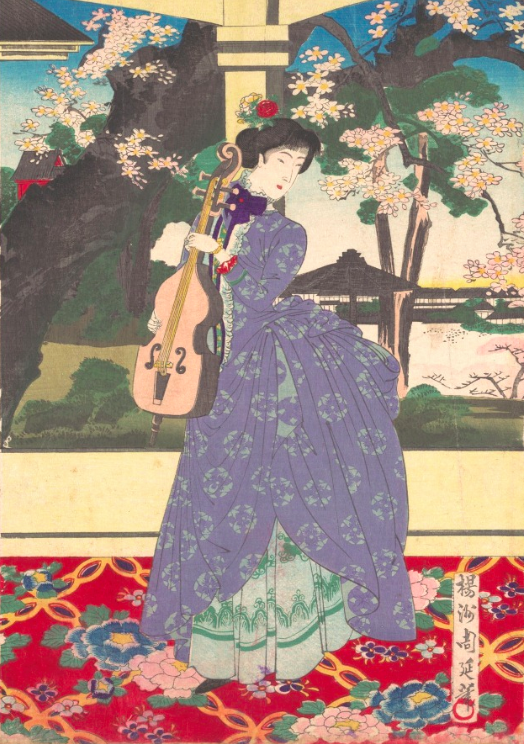 The discovery of the skilled artistry of the Japanese had a profound influence on the visual aesthetic of the period, especially on avant-garde artists such as Vincent Van Gogh and Mary Cassatt, but also haute couturiers such as Charles Frederick Worth and Paul Poiret. 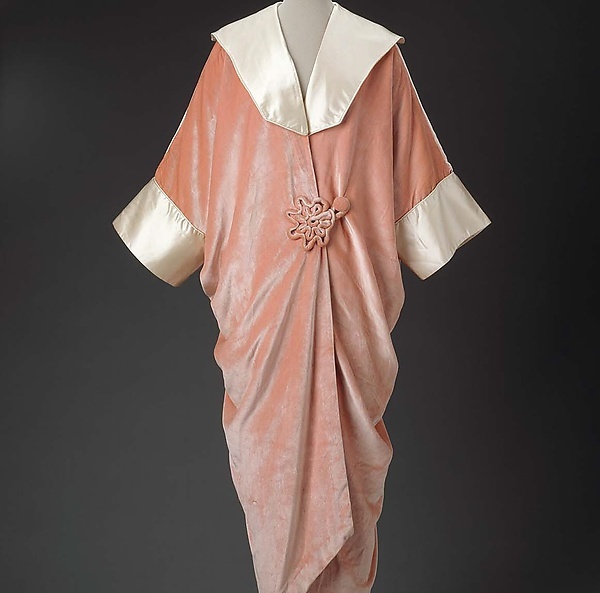 Widely considered the father of haute couture, Worth incorporated Japanese-inspired motifs in his work from the beginning of his career, an influence carried on by his sons and grandsons who eventually took over the business. 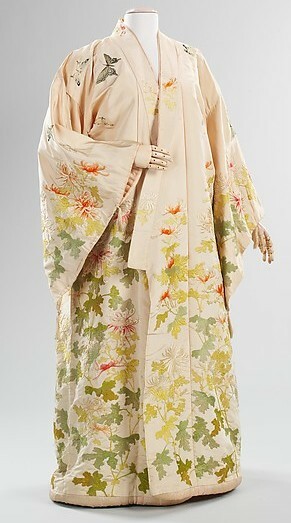 The Worth evening robe seen below is featured in the Met exhibition and clearly reflects the Japanese influence with its wide sleeves and deep V-neck décolletage.